Find below the list of top State Board schools in Lonavala - Pune with phone number, address, 360° School tours, 2018-19 Admission forms & Fees, photos, facilities & more. Don Bosco High School And Junior College is located in Lonavala, Pune. It was established in 1962. This school follows the State board. The school has English medium. Mahatma Gandhi Vidyalaya No 7 Lonavala is located in Lonavala, Pune. It was established in 1904. This school follows the State board. The school has Marathi medium. Sinhgad Public School provides a progressive, broad based and comprehensive education for both boys and girls. The school is the vision of Prof MN Navale, our Founder President and Dr (Mrs) Sunanda Navale, Founder Secretary who envisaged this institution as a seat of learning where every child will find holistic education and grow into a school with a global presence educating and equipping the children to meet the challenges of a fast changing world with equanimity. 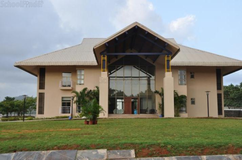 International School Aamby (ISA) is a co-educational boarding school that caters weekly and full boarding for boys and girls from Standards 3 to 12. The ISA journey began in September 2008 with our first intake of students. This school believes in inculcating in the child the love for learning. The effort is to make the learning process playful and joyful so that children enjoy learning and remember for the rest of their lives whatever they learn during their formative years. Apart from human efforts the lush green natural and open surroundings of the Gurukulam help the child open up within and with the outside world. Come and experience it for yourself. Kendriya Vidyalaya, INS Shivaji Lonavla was established in 1963 as a Defence Sector School. 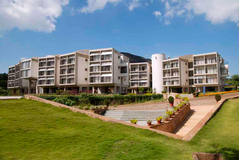 The Vidyalaya is encompassed in a lush green campus of 14.5 Acres . The Vidyalaya is situated in the picturesque surroundings of INS Shivaji (Naval Base ) which is about 8 km away from Lonavla Railway Station, Surrounded by exuberant environment and pleasant climate. Good environment is essential for imparting good education, and we are fortunate enough that we are blessed with beautiful nature. The building is old but model is gold. Ours is a full fledged Senior Secondary School from STD I to XII (Science & Commerce) and is affiliate to CBSE, Delhi. The medium of the instruction is bilingual i.e. English and Hindi. Located in the picturesque town of Khandala, India, the school community stands on four pillars – Knowledge, Wellness, Service and Peace and we are honored that you have taken a decision of becoming a member of the KAS family. Kohinoor American School (KAS) is a co-educational, boarding, international school that imparts knowledge and wisdom to young minds in the American Style of Education. Although there are many top State Board schools in Lonavala - Pune it is not necessary that each one is suited to your child's needs. That is why you need to analyze and consider every factor about the best State Board schools in Lonavala - Pune before settling for one. Sqoolz's list of best State Board schools in Lonavala - Pune makes this job easier for you. Find every detail that is necessary before choosing the right school. You can also take our virtual tour, a feature solely designed to give parents a sense of assurance.